You’ll Find Answers To Our Most Common Asked Questions. The Rose of Sharon is the perfect place to book your next over night event for groups between 8 and 16 people. Our creative space is ideal for crafters, business retreats, youth groups and more. At a rate of only $60 per night per person the Rose of Sharon Retreat center is budget friendly. Our rates includes exclusive use of the retreat center, linens, and housekeeping on your departure. Not included are the cost of damages or missing items, if applicable, these costs will be billed at the conclusion of the event. Groups may book a 2 or more night stay up to 12 months in advance. Groups may book a 1 night stay up to 3 months in advance. Groups may book a day use event up to 3 months in advance. $300.00 deposit is required to reserve your space at our retreat. This deposit will be applied to your rental fee. A full refund of your deposit will be given if reservation is cancelled 90 days prior to the retreat date. If you cancel with less than 90 days notice, you will forfeit your deposit. Deducting days from you reservation must also be done 90 days prior to the retreat date in order to not be charged for the deducted days. Is there a minimum to rent the Rose of Sharon? Yes there is. Eight people per night. If you only have six, you can still reserve and stay with us at the Rose of Sharon, we will however still charge you for eight people total. Does each quilting station have electric? What if we would rather scrapbook? We can still be friends. Scrapbookers are just as welcome as quilters. In fact, we welcome all crafters; stitchers, rug hookers, etc. We also welcome business retreats, youth groups, etc. We are an alcohol and smoke free facility. Service animals are all that we permit in the Rose of Sharon Retreat. Is there a dishwasher? In fact, what else is in the kitchen? Yes, in fact we have a fully stocked kitchen –stove/oven, refrigerator, microwave, dishes, glasses, cups, silverware, bakeware, pots/pans, crockpot, mixer, coffee pot, linens, bowls and some serving pieces. Do my guests need to bring their own bedding? Only if they wish. We are pleased to offer bedding with for each guest. 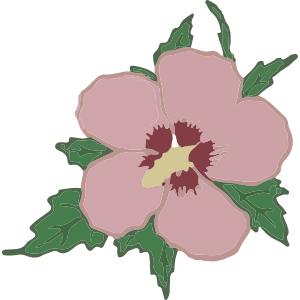 Does the Rose of Sharon have air conditioning? Absolutely. The Rose of Sharon may be a historic building, but we have renovated the building for comfort while maintaining the original wood work and charm of homes built in the late 1800’s. There is a ramp entrance and a bedroom on the main floor but the doorway into this bedroom is not wide enough for a wheelchair. What if we have more than 8 people wanting to stay? Up to 16 guest are welcome – $60 per person per night will be charge.